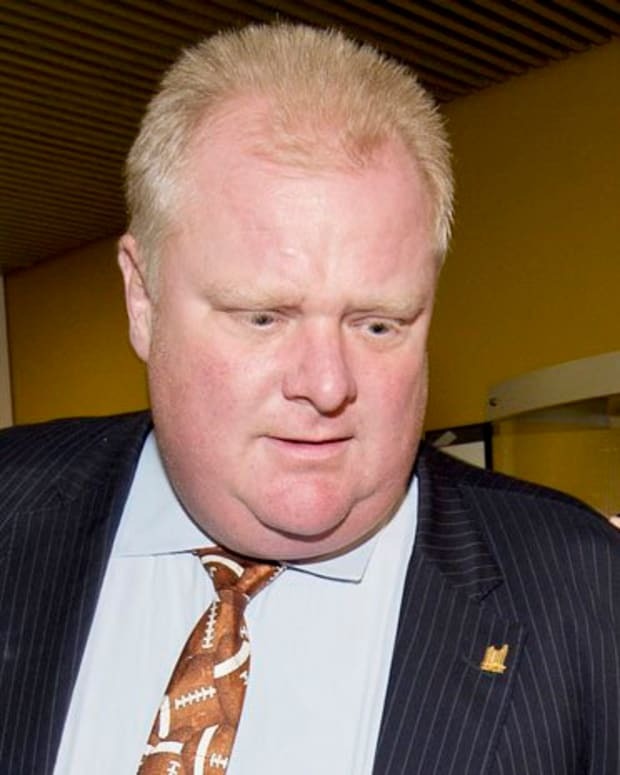 Toronto Mayor Rob Ford called the Toronto City Council a “dictatorship” after it stripped him of all his powers Monday. Ford told ABC’s “Good Morning America” that he’s been sober for three weeks and intends to win reelection and even run for Prime Minister of Canada. “Have I made mistakes? Absolutely I have. I’m the first to admit it. It’s all my own fault,” he said. Ford was caught on tape barreling over a city councilwoman to confront a man at the Monday meeting. After admitting to using crack cocaine and binge drinking, Ford still denies having an addiction problem. “Do I excessively drink once in a while, it’s called binge drinking, whatever term you want to use? Yes, I have. I absolutely have,” he said. “I take full responsibility for that,” he told Lauer. "We&apos;ve all made mistakes, Matt. I&apos;m not perfect. Maybe you are. Maybe other people are. I&apos;ve made mistakes – I admitted to my mistakes." Lauer accused Ford of playing a “game of semantics” when he said he doesn’t “use crack cocaine” but he has “tried” crack cocaine. He said he can barely remember the crack smoking incident that was caught on tape. "I have a weight issue. I&apos;ve been training every day. All I can say, Matt, actions speak louder than words," Ford said.